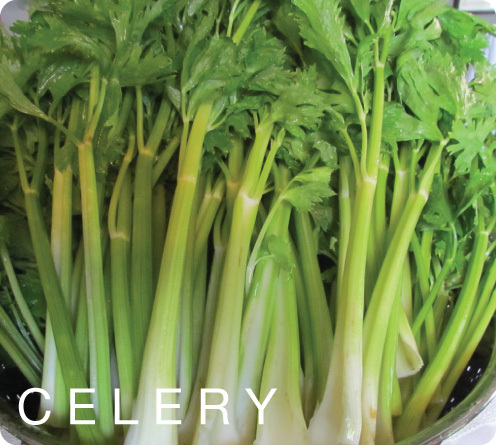 Celery is an excellent source of vitamin K, for keeping healthy bones. Celery also contains several B vitamins, that play a role in cell metabolism; vitamin A; vitamin C; and minerals such as: potassium, sodium and calcium. Celery is not only a good aid for loosing weight, but it is also beneficial for your health as it has lowers blood pressure; acts as anti-inflammatory; is used for treating bladder infections; fights bad breath; reduces menopausal symptoms; and calm indigestion. Celery is considered a negative calorie food, this means that it has less calories than the amount it takes for the body to digest it.